Crystal Smith, Ne-Yo’s wife posted a picture on Instagram of their 7-month-old son lying in a hospital bed. She said that she knew her son was strong and that both her and his dad will be right by his side. 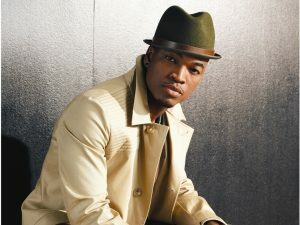 Although sources have tried to reach Ne-Yo for a comment on their son’s condition, they have not received a clear response. Smith went on to say that she was glad that she had Ne-Yo by her side, or else she would not have been able to get through the last 48 hours. The couple first met when Ne-Yo contacted Crystal about working together on a short film for his album. They both said that it was love at first sight. Soon after meeting the pair welcomed their first child together in March, when Crystal was forced to undergo an emergency C-section. She posted a picture of her and her son shortly after, captioning that it was a scary delivery and she was glad that she had an amazing doctor and husband, by her side. Their son Shaffer Chimere Smith Jr., (also known as SJ) was discharged from hospital a day later, but sources are still unsure what prompted the visit. The R n B singer, 37, is also a father to Marilyn and son Mason, both five, with ex-girlfriend Monyetta Shaw. Fans are happy that SJ is doing better and back home safe.